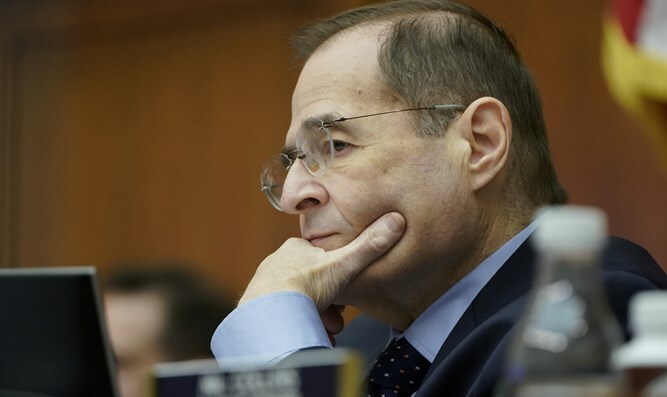 House Judiciary Committee Chairman Congressman Jerrold Nadler (D-NY) today responded to comments made by Representative Ilhan Omar (D-MN). Omar suggested GOP support for Israel is driven by campaign donations from a prominent pro-Israel group, singling out AIPAC. “It is deeply disappointing and disturbing to hear Representative Ilhan Omar’s (MN) choice of words in her exchange with a journalist yesterday, wherein she appears to traffic in old anti-Semitic tropes about Jews and money. Her words are deeply hurtful and offensive, particularly as they build on a previous comment she made about Jews 'hypnotizing' the world in support of Israel – another old trope born of hate-filled texts like the Protocols of the Elders of Zion." “In this fragile moment in our nation’s history, we must all redouble our efforts to engage in policy debates in ways that respect the dignity and humanity of all people. House Appropriations Committee Chairwoman Congresswoman Nita Lowey (D-NY) said: “There is no defense for invoking anti-Semitic tropes. This kind of language is hurtful, damaging, and unacceptable. Lawmakers must debate policy differences without prejudice or bigotry. “Anti-Semitic tropes are painful for Jewish communities around the world, and such mischaracterizations of our support for Israel are deeply offensive. Our shared values, mutual respect, and enduring commitment to each nation’s security are the basis for the enduring U.S.-Israel relationship. And I hope that as we in Congress debate our differences, we do so in a way that reflects our own shared values and mutual respect,” Lowey said.